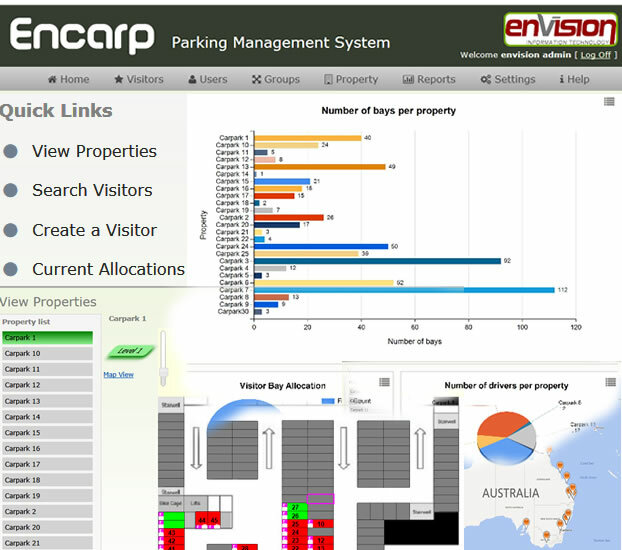 Since 2006, Encarp is developing innovative parking solutions to ease parking for airports, businesses, city councils, resorts, employees and employers, government, hotels and serviced apartments, hospitals, education, shopping centers and malls, TAFE and universities, resorts etc. We were pioneers in 'bay booking systems'. Owing this experience, today we can implement any parking solutions in 8 weeks e.g. 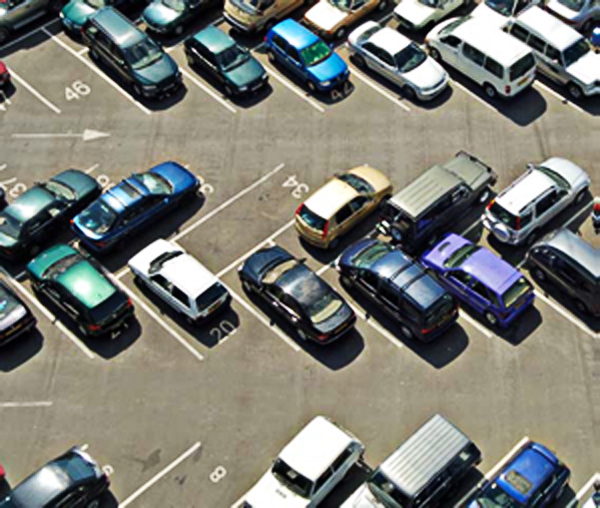 employee parking, develop fully integrated systems for parking, boom gates, cameras, chat bots, IoT, license plate recognition (LPR) system, permit parking, council parking display for general public, pay by phone systems, infringement and enforcement, integrated event + parking tickets, face and video recognition, artificial intelligence and big data analytics. 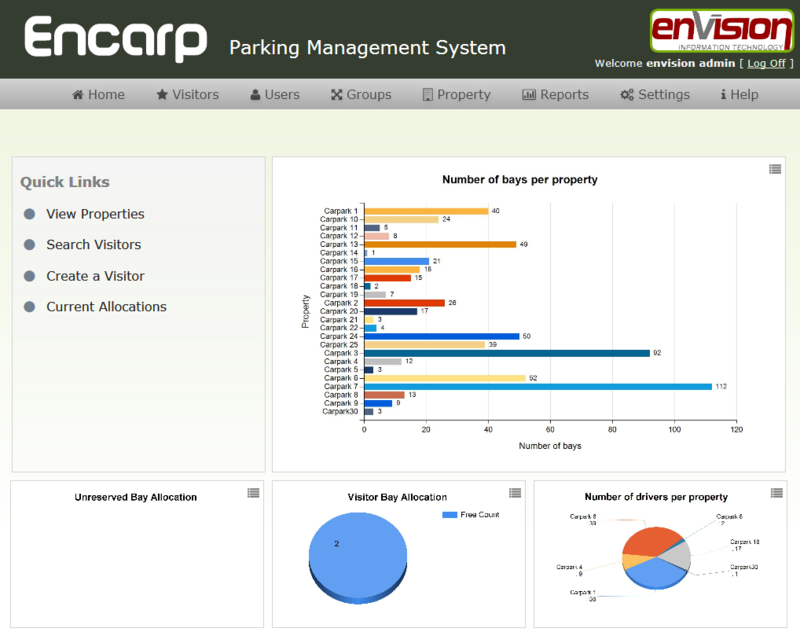 Encarp offers an award winning employee parking software. Our software has been runner up in the 2011 FMA Annual Awards for best use of technology. Client prepared case studies indicate up to 85% reduction in operational workload and savings of 40-60% in parking costs through the use of Encarp's optimised use of parking bays and savings in Fringe Benefits Tax (FBT). It is the only software that provides accurate calculation for FBT with a few mouse clicks and key strokes. Encarp Employee Parking Software provides different variants to manage parking in corporate business, government, hospital, university or other workplaces. This is because we recognise that while parking management requirements are similar, there are marked differences in the way parking is managed, allocated, charged, paid for and enforced (as applicable) within different environments such as government and business. The software is visual and provides digitised layouts of parking, the ability to view user details, make bookings or allocations and allows in tandem, visitor, contractor, group, shift worker parking. It can be integrated with your Active Directory, ERP or CRM systems for a seamless exchange of information and reconciliation of payments. You can implement your parking operation methods, no matter how complex e.g. rostering, alternate booking, token, pass, access card, automatic deduction of payment, enabling employees to share parking allocation with automated cost sharing, permanent or temporary bookings, reduce parking FBT, link with carpooling, etc. Employee locker management extends the employee parking system to allocate lockers to employees. This is especially helpful in hot desking environments. A user can be enabled for either or both the parking and locker systems. For lockers, users can view location of lockers with their allocated locker highlighted. 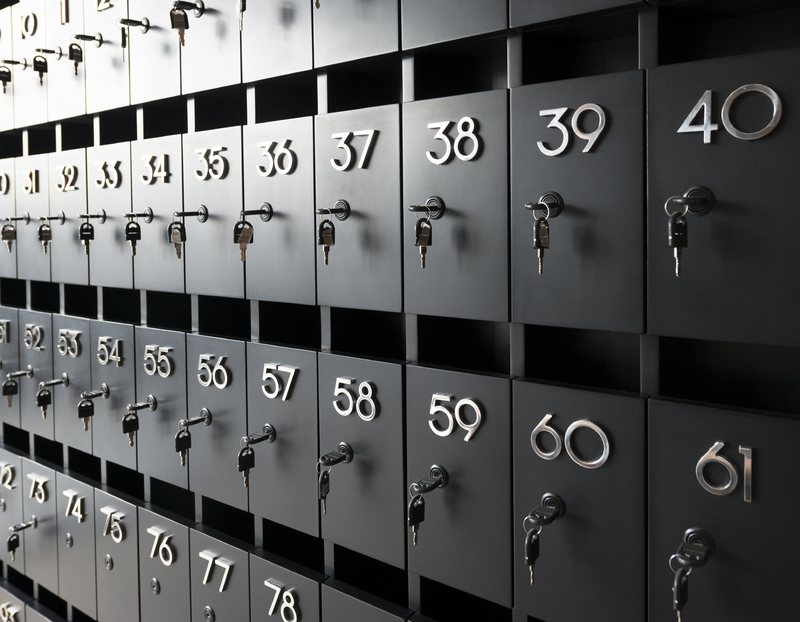 The locker administrators can keep track of key numbers including electronic keys. Both of these are securely managed. 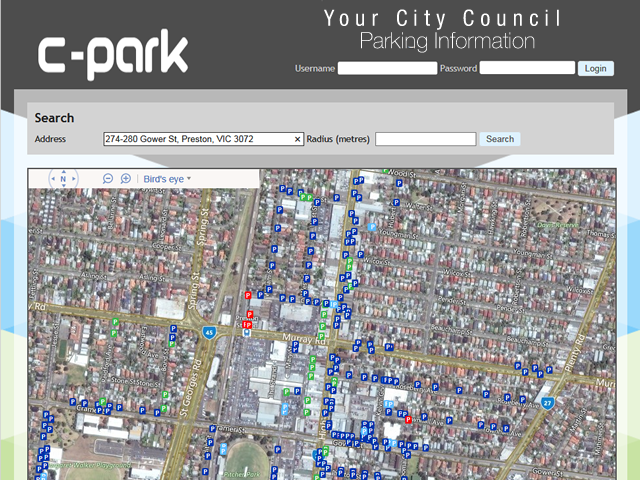 View some images of our easy to use, parking management software. Please note that the software will be customised entirely to your needs and we will provide included, regular software upgrades; thus, these stills are only a guide. 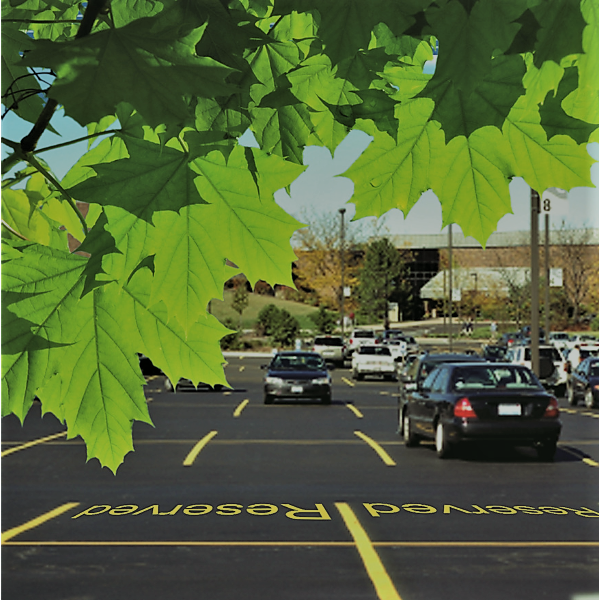 Since 2006, Encarp has been in forefront of parking innovation. During these years we have amassed huge intellectual capital and can deliver any parking application within 8 weeks. This may involve Apps, integration between disparate systems, employee parking, council parking, permits, IoT, integrated ticket (event + parking), parking owners, apartment parking etc. All our quotes are 'Fixed Cost' and 'Fixed Time'. You may pay upfront or stagger over 1 to 5 years monthly payments on an SaaS basis! 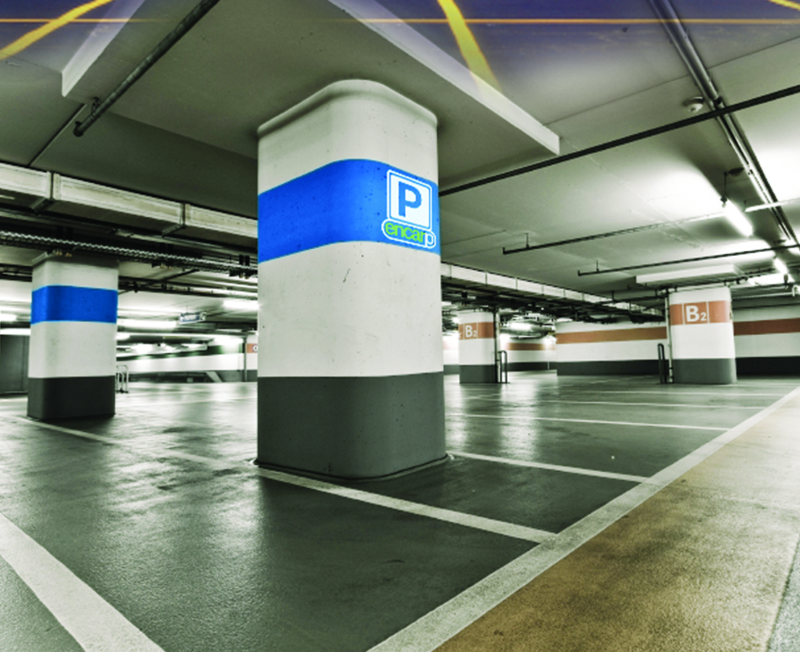 Our Parking solutions are known for ease of use and high reliability. Other Parking Solutions: integrated parking for airports | radio sensor based low cost parking guidance system (PGS) |Parking data analytics | migration of archaic and legacy parking systems to next generation systems within fixed cost and budgets | develop new next generation systems exploiting technologies such as video recognition, occupancy , vacancy | Employees parking involving rosters, permits, shifts | Parking Owners Management System to manage parking assets across multiple vendors, agreements and receivables | and many other. Server Rack and Space Allocation, Booking and Management: The system is also used to manage computer server racks and space such as booking meeting rooms for allocating space to different parties. We are in a position to implement these or any custom next generation solution implemented within 4-12 weeks! The slider may be paused by hovering over any solution. Managing parking for hospital employees and visitors, rostering, complex business rules and automated payment. Managing parking for employees, on vehicle mounted system for infringement detection, rostering and complex rules. Integration with Payment Gateways, Ticketing Systems, ERP, Boom Gates, etc. and automated reconciliation. 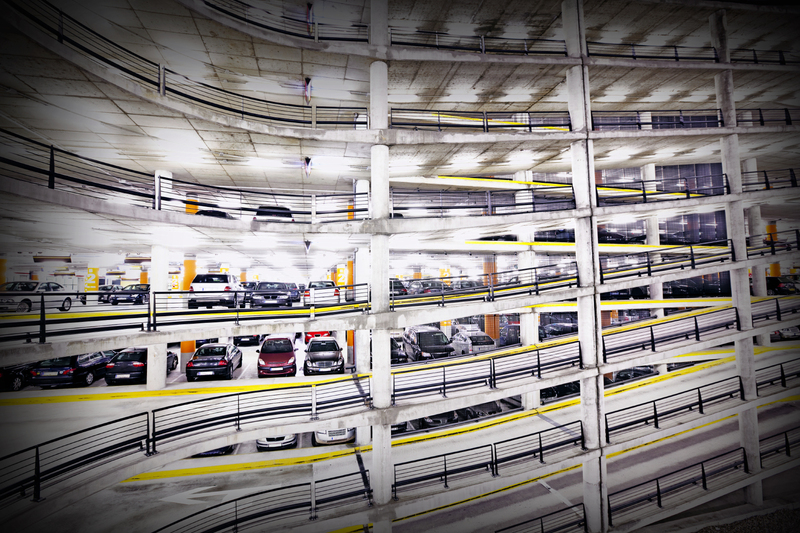 We are pioneers in software for parking industry. Over the last one decade, we have developed intellectual capital in online booking and ticketing systems, low cost parking sensors and guidance systems, big data in parking, highly efficient systems to optimise parking use, provide information to drivers and parking managers, automated implementation of rules, integration with parking devices, equipment such as boom gates, payment gateways, CRM, ERP, etc. We now provide this expertise for the parking industry's entrepreneurs and veterans. This involves integration or development of integrated solutions. Some of our developed solutions for the parking industry include Mt Hotham Recon and Mt Baw Baw, which manage parking collection and reconciliation of payments received, the integration of event ticket with parking for Sydney Olympic Park and many more. Encarp is fully featured and integrated, making it perfect any business' needs. Our software is competitive in the global arena. We are dedicated to innovation and our software is a reflection of our passion. Encarp is 100% Australian owned and carries out all development tasks in Australia! Read below about some of our clients. © 2006-2018 Encarp - Innovative Parking Solutions. All rights reserved. We that acknowledge trademarks, copyright and Intellectual property of various products and company names mentioned on this portal belong to their respective owners.